"A leading supplier of calcium carbonate powder and other chemicals from Vietnam." 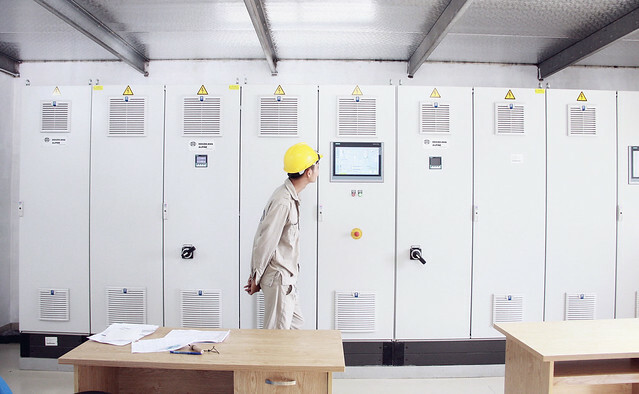 VMPC’s CaCO3 processing plant locates in Yen Binh Industrial Zone, Yen Binh Dist, Yen Bai province & Nam Cam Industrial Zone , Nghe An Province which are convenient to transport by road, river & railway. VMPC’s goal is the putting prestige and quality of products on the top, we continuously improve equipments and machineries, strictly manage the processing, constantly improve the level of the team, technical workers with experience and discipline. 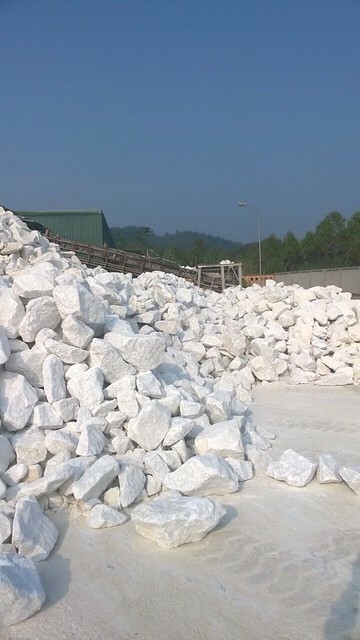 Besides, VMPC also have a team of foreign experts always update the latest technical information in the production field of super fine white stone powder to gradually bring the company's products reach far and wide, continuously meet the needs of international markets such as India, Bangladesh, Korea, Indonesia, ..
VMPC is applying Quality management system ISO 9001: 2008 which enables to manufacture products with high&constant quality of any grade. We are the manufacturer Calcium Carbonate powder for over 10 years, and are trusted by many factories in the international export market such as India, Bangladesh, UAE, Chile, Myanma, Australia…We believe that we can meet any demand of variable customers for a long-term mutual benefits. Customer's satisfaction is always considered as our company's first priority in every activity. In VMPC, we offer an outstanding service in each business process just to prove our promise to you. With a large amount of well-qualified, enthusiastic and highly experienced staff, we commit to bring qualified products with the most competitive price into customers in the shortest, most convenient time. Product modification and technical consultancy. With the most modern technology and equipment from Germany, our high-end factory is able to create best quality products which meet every unique requirement. Our well-trained sales representatives are also ready to consult you for the right and best suitable choice. Our dedicated logistic department is working hard for supporting all delivery processes to be smoothly completed. At a position which allows us to connect directly to network of the world's leading shipping lines such as MCC, APL, IAL, Maersk and etc…. VMPC ensures that your goods will arrive on time with the best condition. 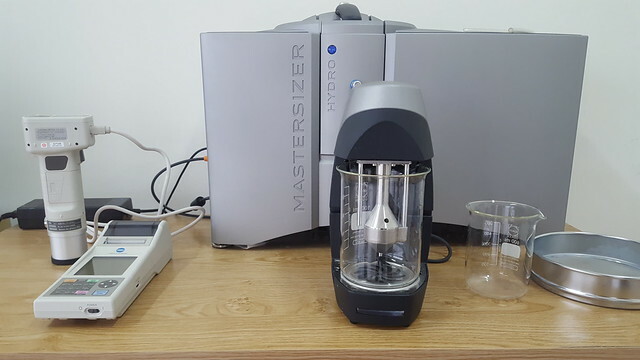 Our laboratory is equipped with modern and precise equipment from England, Japan which helps to analyze exactly our product's characteristics such as: particle size distribution, whiteness, brightness, etc. As a long term strategy and a promise to all customers, VMPC commits to offer suitable product which meet your every demand. As an international supplier with the network of customers located in several time zones, We offer an 24 hours per day, 7 days per week supporting service. Our customer support department will constantly keep in touch and give out the soonest feedback through phone, mail or message. 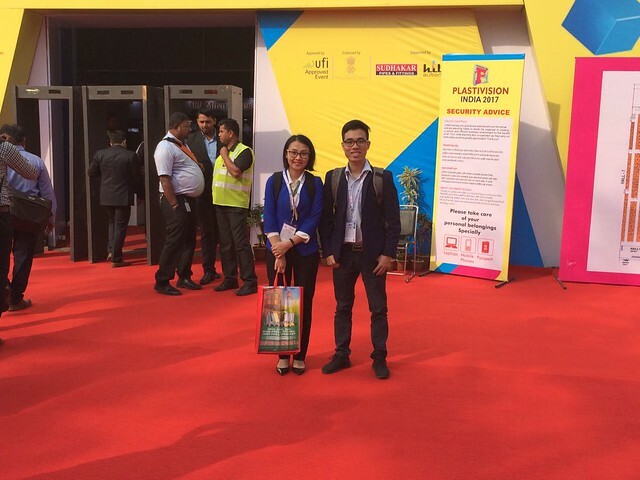 We always try to utilize all opportunities to bring our brand name to international market by participating Plastivision India 2017 held in Mumbai . 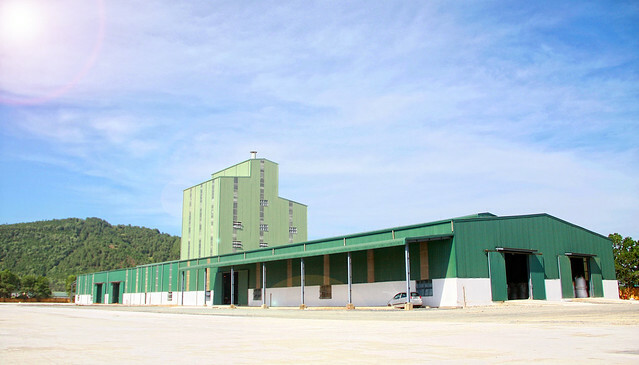 Our CaCO3 powder processing plant is located in Yen Bai Industrial Zone of Yen Bai Province and Nam Cam Industrial Zone of Nghe An Province. Our CaCO3 mine open pit has the reserves of 500, 000, 000 tons, it is easy to exploit, conveniently transported by barges to Processing Plant. 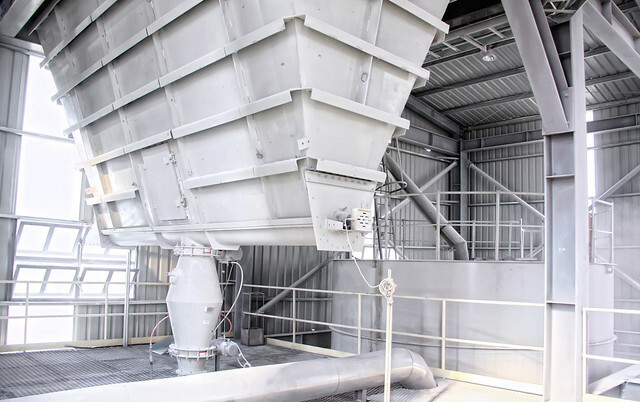 The average annual powder out put is 300,000 MT made from the most modern Hosokawa Alpine German equipment & technology processing line applying quality management system in conformity with ISO 9001-2000, which enables to manufacture high & constant quality product. 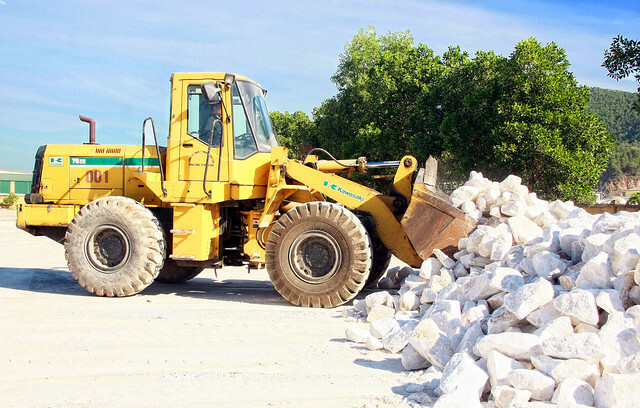 Quick lime or calcium oxide, or burnt lime are obtained by calcining (controlled heating - time and temperature) limestone at temperatures above 900°C. These highly reactive products are used as additives in such industries as metallurgy, steel flux, sewage and water treatment, environment treatment, land consolidation, PH adjustment, caustic agent, acid gas absorption.. Please kindly contact us for best price and specification detail. PCC stands for precipitated calcium carbonate. It is a manufactured form of calcium carbonate produced under exacting conditions in order to obtain crystals of the proper shape, size and physical characteristics required for a host of complex applications. Our uncoated calcium carbonate/ground calcium carbonate is from Hosokawa Alphine machine which give the best quality of coating products. Please kindly contact our sales team for best quotation. 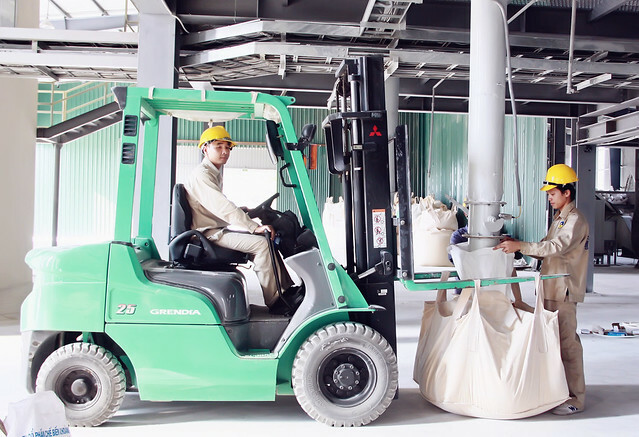 Our coated calcium carbonate is from Hosokawa Alphine machine which is the same technology with Omya which give the best quality of coating products. Ground calcium carbonate (GCC) and Precipitated Calcium Carbonate (PCC) is commonly used in a number of paint and coating applications. It is used as an extender, an agent to either reduce or enhance gloss, an anti-slip additive, a rheology modifier and as a paint and coating additive to densify the product. Contact us to learn more about our Calcium Carbonate products or to order a sample. GCC and PCC are commonly used in many types of paper, both as fillers within the paper structure as well as a coating on the surface. We offer a wide range of products throughout the world, differing in particle size, particle size distribution, and brightness to suit all paper application needs. Fine ground carbonates are used in Rubber applications as high loading extenders, rheological improvers, and processability enhancers with little or no impact on the hardness or other mechanical properties. Surface treated grades can be used to ease handling and improve dispersion. Precipitated and ultrafine calcium carbonates can also provide a certain level of reinforcement to rubbers. Our calcium carbonate grades are produced from a specialty, high purity source to ensure you receive the maximum calcium content so your animals and livestock are receiving the proper nutrition they need to be healthy. Please contact our salesteam for detail quotation. Calcium carbonate is used as an active calcium ingredient with high solubility in antacids, multi-vitamins, mineral supplement tablets, chewables, gummies, soaps and toothpaste. VMPC's Calcium Carbonate Powder (CaCO3) is exploited directly from the world's top quality natural of limestone - in Yen Bai, North Vietnam and Nghe An, Middle of Vietnam. Yen Bai is a mountainous province in northwest Vietnam. 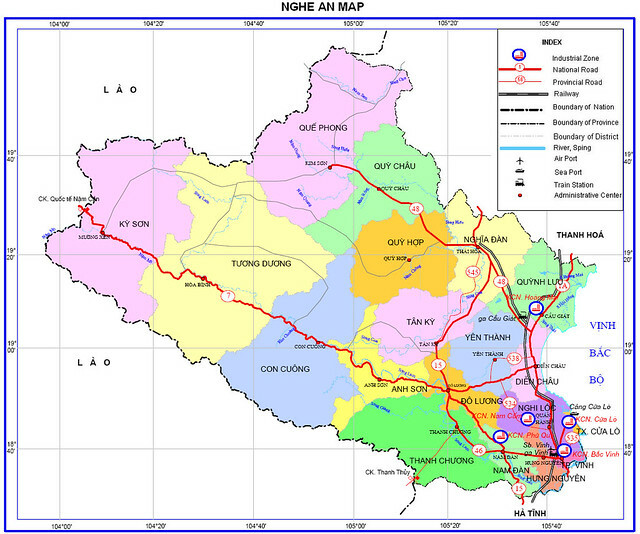 Northern provinces of Lao Cai , Ha Giang , Tuyen Quang province on the east , with the provinces of Phu Tho , Son La Province to the west and Lai Chau .The total area of ​6899.49 km2 of natural area accounted for 2.08 % and ranked 15th out of 63 provinces in the country . 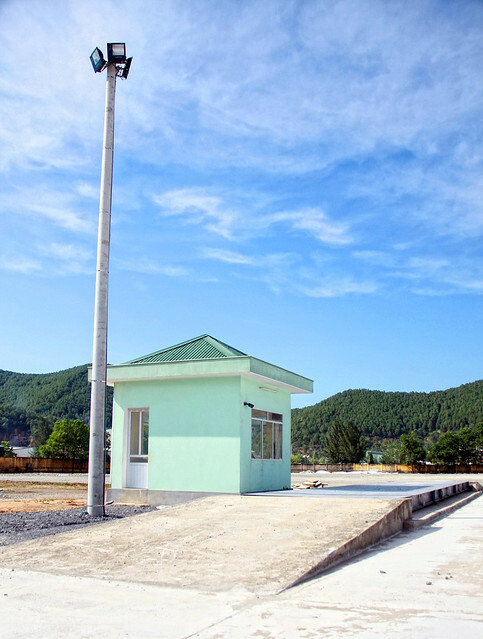 Located inland but relatively favorable Yen Bai traffic , is the focal point of the linear feeder road traffic , railway , waterway from Ha Noi , Hai Phong to Lao Cai border gate . In the future, the highway Hai Phong - Kunming ( China ) will create Yen Bai big advantage in economic exchanges with other provinces , with the domestic market and internationally . 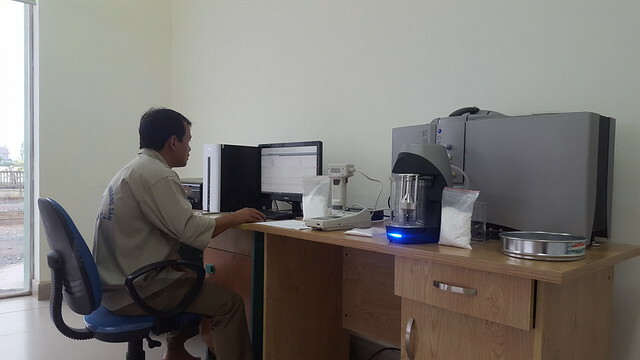 White Limestone Resources of Yen Bai detected in the mapping and surveying of geological mapping of mineral scale 1 : 50,000 . Through exploration results in the years before and after 2000 showed white limestone Yen Bai focus mainly distributed in 03 regions ( New Scope - An Phu , Vinh Lac ) , Luc Yen District , ( the Mong Son ) , Yen Binh district , white limestone are concentrated along the left bank of the Flowing river , north of Thac Ba . Include strips of white limestone formations, An Phu , stretching from the Middle Khai commune , through Tan Linh, Yen Thang , measurement data , Tan Lap , Minh Tien , An Phu , Thanh Phan , Yongle of Luc Yen , Long Xuan Phuc Ninh 's Mong Yen Binh Son . Based on the distribution characteristics of natural resources ( mineral geology ) , the current status of mineral activities and infrastructure conditions , regardless of the area ( approximately 3,500 ha ) contained in the white limestone reservoir or lake- water Thac Ba . From the above-mentioned situation characteristics , Yen Bai found very favorable for mining industry , mineral processing and general industry mining , processing stone white lime particular. 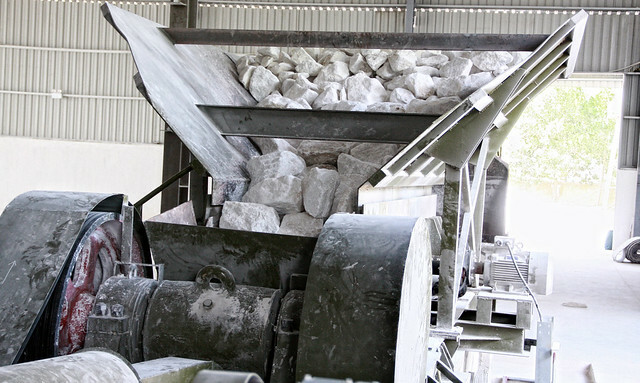 Our Calcium Carbonate Powder is also mined from Yen Bai limestone quarries. 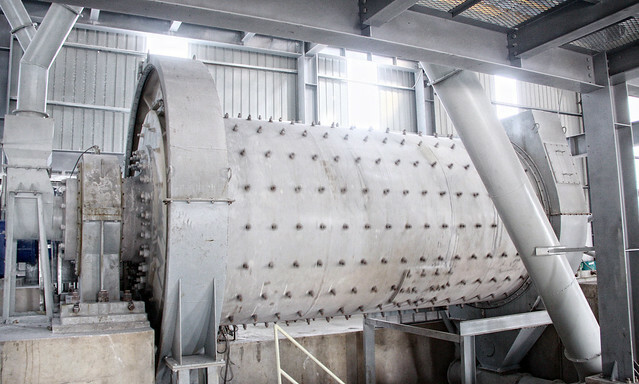 The raw material (chalky limestone) is given to the material distribution machine, through the systems of Jaw crusher, hammering, material splitter to the conveying silo. And then it is given to the primary mill system to crush the stone into pearl or powder. Nghe An has a wide range of mineral mines; especially, minerals to produce building materials including about 4 billion tons of limestone for production of cement, over 900 million tons of white limestone, about 1.2 billion tons of clay for cement material, about 5 million cubic meters of clay for premium pottery and porcelain production, 500 million cubic meters of construction stones, 260 million cubic meters of basalt rocks, 150 million cubic meters of Granite, 300 million cubic meters of marble, etc. The wide range and variety of the above mentioned minerals is focally distributed. 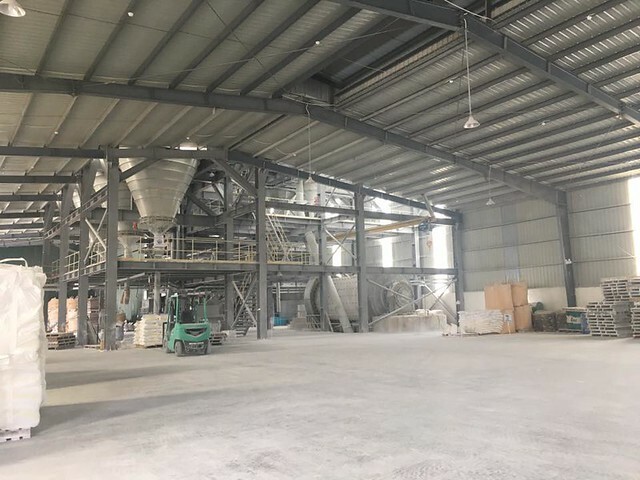 Main materials and additive materials are closely located, in good quality, near road system, so it is very potential and convenient for production of cement, pottery/porcelain, fine rock powder, tiling bricks, handicrafts, etc. Our mine is in Tan Ky which is one of best quality of limestone in Nghe An. Equipped with modern and synchronous equipment, testing equipment in laboratory standards and management ISO 9001 -2015, the products of VMPC have always been the domestic and foreign customers. Beyond belief. Our products are exported to many markets including Korea, Bangladesh, India, Philippines ... are widely used in the industries of producing paints, plastics, high-grade paper. Rubber, ceramics, artificial marble, animal feed, cosmetics, ... and are always rated by customers as their best choiceWe are always aware that "Quality is vital to competitiveness and survival". Therefore, the company always pays attention to invest in modern technology equipment, invest in human resources, build control system. Strictly to improve product quality as well as productivity to best meet the requirements of the market. Our products are always produced in association with the slogan "Producing products to reassure customers" has been proven practical in the most difficult markets. We are always aware that "Quality is vital to competitiveness and survival". Therefore, the company always pays attention to invest in modern technology equipment, invest in human resources, build control system. Strictly to improve product quality as well as productivity to best meet the requirements of the market. Our products are always produced in association with the slogan "Producing products to reassure customers" has been proven practical in the most difficult markets.